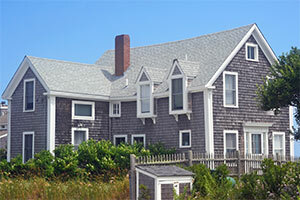 Contact Chatham Real Estate to schedule a tour of one of our listings. Register with our website to receive email updates on your favorite listings. Located in the Old Village of Chatham with a walk to town and Lighthouse Beach location and views of the Mill Pond. This ''like new'' home was built in 2012 by Polhemus, Savery, Desilva builders and it has all of the amenities one could imagine. There are 5 large bedrooms and the master is on the first floor and also there are 5 1/2 baths and a finished basement. The chef's dream kitchen with stainless appliances and granite counter tops will certainly exceed your expectations. There are wonderful views of the Mill Pond from the second floor and a two car garage under. The winning combination is a newer home with an in-town location, walk to a sandy beach and waterviews... This has it all ! Incredible opportunity to own this 2 bedroom 1 bath Beach House with a minute walk to Ridgevale Beach on Nantucket Sound. Also included in the sale price are plans that had gone through the zoning approval process for an addition but have now expired. Nice water views of Bucks Creek from the front lawn of this adorable home. There are 2 bedrooms plus a wood paneled den with a slider leading to the deck. The kitchen is in great condition and there are stools at the counter for the young ones in your family plus a dining area too.